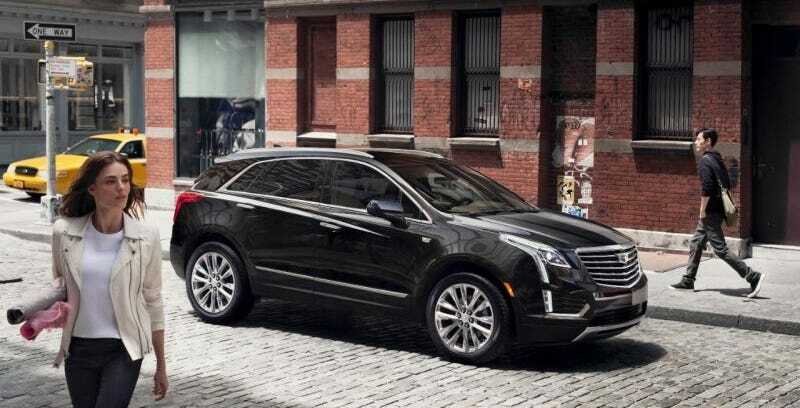 The all-new Cadillac XT5 is the American luxury brand’s revamp of its old, decrepit SRX midsize luxury crossover, which just so happens to be the brand’s best selling model. The new XT5 is lighter, roomier, and far more attractive for just about the same price as what it replaces. The XT5 is the second new Cadillac with the new “something-T-#” nomenclature, and the first in a wave of four new crossovers and SUVs for the brand. It comes with an updated CUE infotainment system which isn’t as horrible as it has been on previous models, as well as a much needed improvement in overall interior quality. The new crossover comes with FWD as standard with an 8-speed automatic transmission, with a 3.6 liter V6 310 horsepower and 270 lb-ft of torque. There’s an optional “twin-clutch” AWD system available that can shift the full amount of power between the front and rear axles. That AWD system comes standard with a fair bit of extra gizmos on the Platinum model, which cruises all the way up to a whopping $62,500. This is a nice crossover, from a new Cadillac who will enjoy selling a lot of them.